A new large-scale study has revealed what researchers believe to be the maximum time an individual can sit each day before sedentary time starts to increase the risk of cardiovascular disease, including coronary heart disease, stroke and heart attack. Although many previous studies have shown that too much sedentary time increases the risk of a variety of diseases, including type 2 diabetes, non-alcoholic fatty liver disease, heart disease, stroke, and high blood pressure, as well as contributing to an increase in waist measurement and an increased mortality risk. Until now there was no number attached to the amount of time an individual could be sedentary for before it begins to have a negative effect on health. To look at an association between the number of sedentary hours and the risk of cardiovascular disease, a team of researchers from several institutions throughout the USA analyzed data from the EMBASE and MEDLINE databases. The data spanned an 11-year period and 720,425 participants in total who together had a mean age of 54.5 years. Researchers also included lying down in their definition of sedentary time. The heart’s own blood supply becomes blocked up by fatty deposits in the arteries that nourish the heart muscle. It can cause angina or even lead to a heart attack if the blood vessels become completely blocked. Scientists at the University of Oxford analysed data from 15,100 vegetarians and 29,400 people who ate meat and fish. 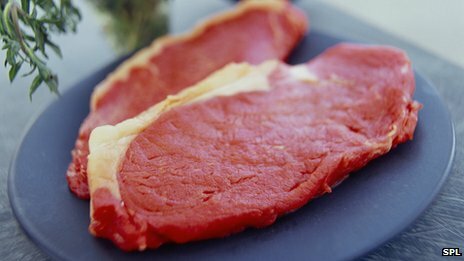 Over the course of 11 years, 169 people in the study died from heart disease and 1,066 needed hospital treatment – and they were more likely to have been meat and fish eaters than vegetarians.